Barber Hacks: Will Barbering DIE? Barberhacks is here to help you grow as a barber and think about the barbering industry as a whole. PROGRESS AND GROWTHWhen I sit down to think about where our industry is going I see progress and growth, but I have a few reservations. Having been in the hair industry for 16 years, I have lived through at least one major economic downfall without feeling pinched (but also without feeling exceptionally wealthy), I have switched to men’s barbering despite the fact that it was looked poorly upon by the industry as a whole (I have been barbering for 8 years), and I have seen barbering rise from the ashes as men begin to take value in their appearance again. THE STEPSSeeing barbering come to the fore I find it interesting to look back on some of the steps that took it there. Barberhacks is here to help you become the best barber that you can be. This blog focuses on the mental side of the game, while my YouTube channel will teach you how to Barber Better. I spend all day standing behind a chair, and I hardly ever sit in one. I’m never a customer, so how am I supposed to relate to one? I’ve talked about this before, but since I’ve started researching for a book that I plan to write, I’m thinking about this idea a lot. What does a guest think, what does a guest want? We’re in customer service after all, we’re groomers, we make others look and feel good about themselves and their looks. I’m beginning to realize it's not all about getting the crispiest fade, or the most technical haircut, service is a large part of what makes people feel satisfied. MAKING CHANGESI’ve been making changes in my life. I had some health issues that led to crippling anxiety, fatigue and massive, hospitalizing panic attacks. I’ve had to take a good look at my life and how I had been living it and make some changes. CHOICESI’ll explain some of how I was living my life. I was smoking two packs a day, drinking often, dabbling with recreational drugs, I was working out seven days a week, and working 50-60 plus hours a week. I didn’t care much about anything, and I was living life fast and loose. My family didn’t care to talk to me much, I kept getting dumped by the people that I was dating. My life wasn’t going anywhere fast and I didn’t realize what was going on. 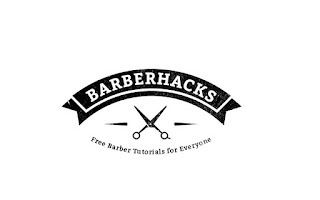 Barberhacks is an online resource for barbers to help them improve in every aspect of the business. Disorganized Chaos I don’t know how I used to do it when I was younger, I’ve gotten to the point in my career where that is pretty far removed from the present. Like a lot of barbers I’m mostly self-taught, meaning there was little structure in the way that I approached cutting hair. I have always had a disorganized chaos going on on my station while I am cutting, I’ll casually toss guards onto the countertop as I progress into my cuts. I’ll grab scissors and place them haphazardly about. I’m getting the job done, so it doesn’t matter what happens while I’m doing it, does it? This is not to say that I have been a complete mess in my past, just unorganized as I cut. Because who notices the little points like that? In Barbershops, the customer is looking the other way, aren’t they?